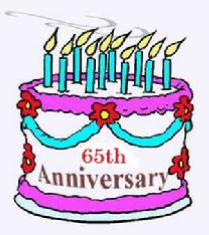 Next year, Al-Anon will be celebrating the 65th Anniversary of Al-Anon Family Groups and the beginnings of the Clearing House, the World Service Office (WSO). In commemoration, the WSO will open up the offices at the WSO for tours of the facility and an opportunity to meet the office staff. That evening, the WSO will host an Anniversary Banquet. Details for the banquet are not released yet, but I do know that banquet tickets will be very limited since the date coincides with the end of next year’s World Service Conference, so many of the Delegates will attend. I have been fortunate to attend Al-Anon’s 50th and 55th Anniversary celebrations. They were both extremely memorable events. For the 50th, I traveled to the WSO with my Sponsor and three other women. We had such an incredible time, we decided to do it again for the 55th, and invite a few others to tag along. We rented a tour bus and 50 people joined us to attend the celebration and we all had an incredible experience. I remember walking into the WSO for the first time for the 50th anniversary open house. The first thing I saw was a glass curio case that was filled with ODAT books, each written in a different language. At that moment, I realized just how connected I was to a world-wide fellowship. Seeing Al-Anon books written in French, German, Spanish, Hebrew, Dutch, Greek, Korean, Italian and many other languages gave me the true sense that our problems with alcoholism is the same across the globe. Seeing the archive room at the WSO made it feel like Lois was right next to me, giving me a personal tour. The AA Resolution of Gratitude to Al-Anon sent tears down my cheeks. I realized that the people that have hurt us the most are the same people that gave us the most. It was a big “AHA” moment for me. Seeing the artifacts of gratitude on the walls of the WSO, seeing where our literature comes from, and meeting with employees and hearing their stories gave me a true sense of the legacy that Lois and Anne left for us and how the WSO provides the unity that is so important to our members. I will be at the 65th open house and banquet. If you would like to come, please let me know and I will meet you right next to that glass curio with all the ODAT books. We can tour it together. Need something a little closer to home? Hmmm, this sounds really good! Anyone want to share a room? Sorry about the delayed response. We will try to get more information on the 65 Anniversary posted to the web site.